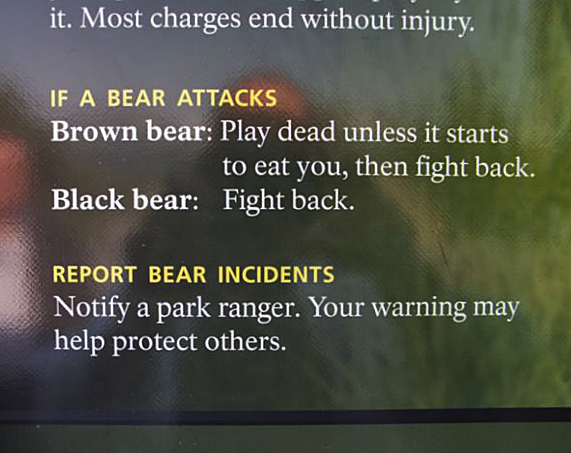 National Park trail sign regarding bears at hanging glacier. It seems to me that starting to fight back once you are being eaten might be too late. What am I, wolverine? 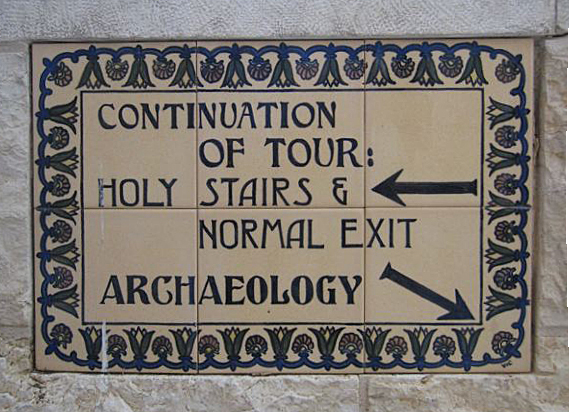 Why take the regular exit when you can take the holy stairs? Sorry, no sacred escalator. 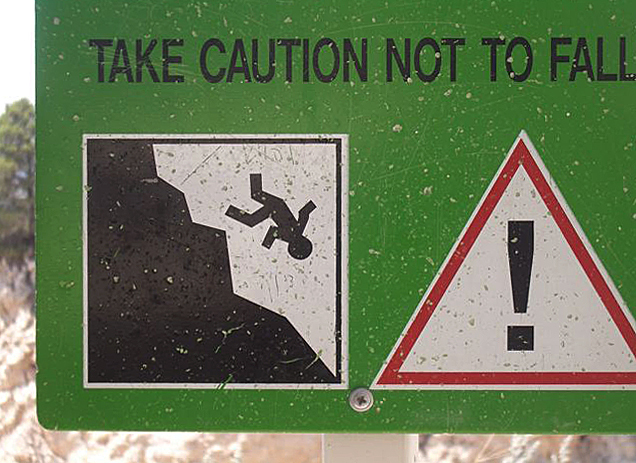 Aside from the curiously descriptive icon, this sign was placed over the precipice so you had to lean over the edge of the abyss to read the sign.